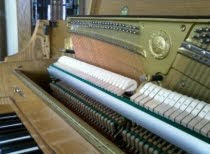 If you are in need of a piano tuning for the coming 2012 winter and holiday season, I urge you to call now to make an appointment at 618-654-1585. 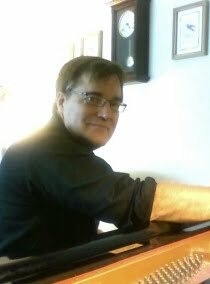 It is a busy time of year for many people, and scheduling an appointment early can ensure that there is ample time to work you into my own schedule in a way that is most convenient for everyone. 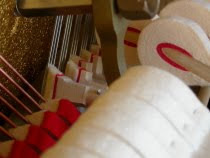 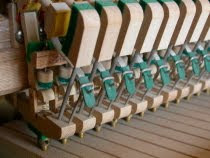 Recently I have worked on a number of pianos in which it has been several years since they were last tuned, with some being greater than half a step flat. 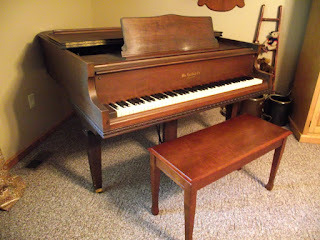 If you are worried about your own instrument because it has been many years since it was last tuned, don't be. 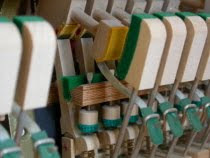 No matter how out-of-tune your piano may be, I can assure you that it can be tuned and the pitch raised to where it is supposed to be, as long as there are no major structural problems.